1 – Saves money, by eliminating the need for two Neutral Forensic Accountants to work on the couple’s finances. 2 – Reduces the time needed to prepare the schedule of assets and liabilities. The Neutral CPA gathers both the husband and wife’s financial documents to work impartially on their income and expenses and complete the schedule. 3 – Avoids a court trial by eliminating dueling accountants in the divorce process. There is more flexibility when a couple works with one Neutral Forensic Accountant and one set of numbers. This allows for more creatives solutions than traditional divorces, and can help avoid a court trial. 4 – Eases the tension between the couple by offering solid financial solutions. A Neutral Forensic Accountant has specialized training and experience to resolve any financial accounting issues that may come up in a collaborative divorce. At Makara and Associates, we understand that knowledge is power. 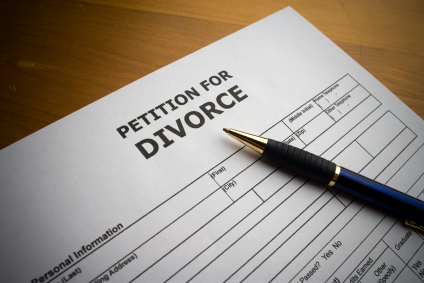 With our online library and Learn More page, we help you prepare and alleviate some of the stress of the divorce process. Take the opportunity to download our free eBook: Divorce. What You Need to Think About from a Financial Perspective. Then read our FAQs regarding Forensic Accounting. A Forensic Accountant is certified in Forensic Accounting, (Cr. FA). In addition to working with divorces, Forensic Accountants are called to testify in divorce, bankruptcy, reorganization and insolvency cases. At Makara and Associates, we provide quality service to each client based on our knowledge and specialization in each service rendered. We offer Neutral Forensic Accounting. I’m certified by the American College of Forensic Examiners Institute (ACFEI), and ready to assist you with all your forensic accounting needs. Don’t wait, now is the time to become more informed about Neutral Forensic Accounting. With my many years of experience and certification, I’ll be able to answer your questions and work with you through the divorce process. We’ll determine how Neutral Forensic Accounting will benefit you. Contact me online or call my Naples office: (239) 384-9688 or my Fort Myers office: (239) 768-5008. Keep up with our latest information on LinkedIn, Twitter and Facebook.